The Osteoporosis Reversal Program provides an extensive list of Foundation Foods that are bountiful sources of nutrients foundational to bone health. And cherries are definitely on the list! Cherries come in two main varieties, sweet and tart/sour. Common sweet cherry varieties are Bing and Rainier, and sour cherries, recognizable for their light red color, are commonly available in Montmorency or Morello varieties. All types of cherries are bone-healthy and delicious. Cherries provide a key bone-building mineral: silicon. In addition, they contain a good number of Foundation Supplements, which are described in the Osteoporosis Reversal Program as “core vitamins and minerals that offer the most bone-building benefits” (more on this later). And here’s more good news about cherries: they are not on the Environmental Working Group’s “Dirty Dozen” list. Antioxidants are substances that counteract the effects of oxygen in the body. I’ll explain. While oxygen is necessary for life, it also can cause damage to your bones by way of the oxidation process, the same process by which rust forms on iron. 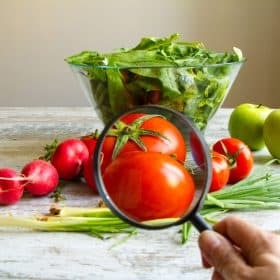 In the Osteoporosis Reversal Program there’s an entire chapter devoted to this topic where you’ll find the best ways to counteract oxidative damage to your bones. In a nutshell, this is what happens: as your cells use oxygen in everyday respiration, some of the cells end up creating free radicals as a byproduct. Free radicals are molecules with a “free” electron – electrons are normally in pairs, and when one of the electrons is missing, the remaining electron is “free.” It wants to attach itself to something to balance out the missing electron, so it robs an electron from other molecules, thus damaging cells – including bone cells – and creating more free radicals. You can easily see how this becomes cyclic. Cherries are chock-full of these free-radical fighters – a 2010 study identified 13 of them1! Specifically, the antioxidants found in cherries are polyphenols, two in particular: anthocyanins and superoxide dismutase (SOD). Polyphenols are responsible for the bright colors of foods like blueberries, cranberries, and cherries. They also contribute to taste and tartness, and are concentrated mainly in the fruit’s skin. Interestingly, recent studies have shown that the multiple polyphenols in cherries work together to produce a greater antioxidant effect than a single polyphenol working in isolation. Just What’s in a Cherry? It’s amazing how many nutrients are packed into this round, red fruit. It contains no fewer than 5 Foundation Supplements, additional nutrients like the antioxidants described above, and even a substance that promotes regular sleep patterns. Beta-carotene, the skin-healthy carotenoid that’s also good for your bones, is present in cherries. Vitamin C* is both an antioxidant and a vitamin, and plays a key role in the production of collagen, the protein matrix that holds bone together. In addition, Vitamin C is necessary for the synthesis of Vitamin D, another vital bone-building vitamin. Potassium is an important mineral and electrolyte that, among other things, helps transmit water into and out of cells (an important function in bone remodeling). Manganese* is required for the synthesis of cartilage and bone, and interestingly, manganese is an activator of the above-mentioned superoxide dismutase (SOD). Copper* is an important trace mineral for your bones. 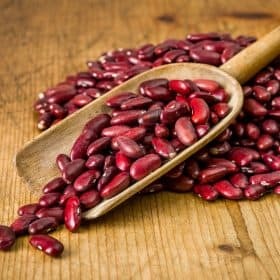 Copper is actually found in every tissue in your body, and like manganese, it is involved with SOD…in fact, it is part of this key antioxidant. Silicon* mentioned earlier, is an important bone-builder. Sometimes called silica, it directly affects the growth of both connective tissue and bone, and is crucial for bone density mineralization. In fact, silicon is essential for the assimilation of calcium into your bones. A recent study found that the juice from tart cherries relieved insomnia: “When compared to placebo, the study beverage produced significant reductions in insomnia severity (minutes awake after sleep onset)2,” the study concludes. This is due to the melatonin content in cherries, which affects the body’s circadian rhythms. Melatonin is present in the body in small quantities, so you don’t need to eat a great deal of cherries to benefit from their sleep-regulating effects. Like NSAIDs, tart cherries slow down the enzymes Cyclo-oxyygenase-1 and 2. So for a natural way to control inflammation caused by arthritis and other conditions but without the undesirable side effects of NSAIDs, eat delicious crunchy cherries instead! When choosing cherries, look for firm, smooth skin and a deep red color that is appropriate for the variety. The stem should still be attached. When you get your cherries home, wash them and remove the stems. They are best eaten raw. If you aren’t going to consume them all at once, store them in a covered container in the refrigerator for up to a week. It’s Easy to Make a Bone-Healthy Beverage With Cherries! While many cherry recipes call for baking (like cherry pie or cobbler), you can also enjoy them in a refreshing beverage, perfect for a hot summer day. This delicious drink (recipe below) is composed of cherries, chamomile tea, lemon juice, and fresh ginger — all bone-healthy ingredients. The other main ingredient, lemon, has powerful cleansing properties which are explained in depth in OsteoCleanse™. Lemon juice contains Vitamin C and it is alkalizing, despite its tart taste. 1. Combine cherries, ginger slices and stevia or a little honey in a glass bowl and press with a wooden spoon or any suitable kitchen utensil to help release the juices. 2. Pour 2 cups of water over the cherry mixture, cover the bowl, and refrigerate overnight. 3. Boil 2 cups of water and pour over tea bags in a pitcher. Let tea bags steep for 2 minutes (you can adjust this to desired strength). 4. Strain the cherry-ginger water into the pitcher with the chamomile tea, squeezing out as much liquid as possible. Serve with lemon slices and lemon juice, hot or cold. 1 Ferretti, Gianna, et al. “Cherry Antioxidants: From Farm to Table.” Molecules 2010, 15, 6993-7005; doi:10.3390/molecules15106993. 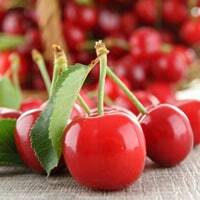 I love cherries too and I was happy to see they are not on the dirty dozen list. Until my friend a nutritionst told me they were. I googled it and sure enough they are. ??? Gracias Vivian por la cherries, me gustan mucho, pero son un poco caritas….Tambien son buenas para la artritis……Josie. Unfortunately any fruit with a stone in it is a no-no on my food allergy list. And I really dislike anything cherry flavored. So I guess my bones will just have to disintegrate. I am 80-l/2 so feel it is almost too late for any help. And I am still not sure if Strontium inbone health supplements is actually good to take. Appreciate any comments. No worries, Dorothy. 🙂 Just because cherries are good for your bones doesn’t mean you have to eat them; there are all kinds of other foods that are excellent bone-builders! You have plenty of choices. I was wondering if you can check to see if I’ve already ordered your book. I don’t recall when, but I would appreciate if you can give me a reply. 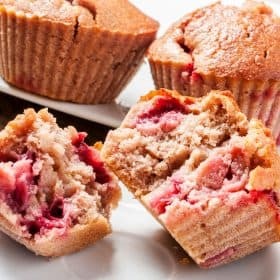 In The CHERRY SUPERTEA Recipe; Can You Substitute The Ginger In The Recipe, With Cinnamon? Because I’m Allergic To Ginger! THANK YOU VERY MUCH, IN ADVANCE, For Your Reply! THANKS FOR THE CHERRY INFORMATION. CAN I USE A CONCENTRATE OF CHERRY JUICE INSTEAD OF FRESH CHERRIES AND GET THE SAME BENEFITS? My late Brother lived in Traverse City, Michigan. Every year we loved receiving a 4lb bag of dried cherries from him. I just noticed that 1/3c of cherries contains 25mgs of sugar and safflower oil. I usually use them chopped up in several pieces in hot breakfast cereals and add chopped pecans as well. I had noticed that I did not need sweeteners in those cereals. Those cherries are Montmercy sour cherries. They are great in cookies too. I have high potassium which I manage to keep under control by being very careful about what I eat which allows me not to be on any drugs. I get so frustrated when you mention something like cherries which happen to be very high in potassium. Is there any way you could give me a list of food good for my bones but low in potassium? It seems to be a loosing battle. Any advice would be so welcome. I cou;dn’t thank you enough for all your hard work. I love cherries a lot. This being the season the easy recipe for healthy cherry drink will be enjoyed by me. Thank you for your constant concern for healthy Bones. Freezing cherries is easy and delicious. Wash, pit, and lay out on a cookie sheet; freeze overnight. Then put them in a baggy or plastic container, and keep in the freezer til you want them. By freezing in a single layer, they do not stick together in your container or baggy. The same can be done with grapes or berries. Eat them frozen on a hot day: refreshing like a mini-Popsicle, and delicious and healthy. Or they can also be used for baking, putting in pancakes, etc. Love Cherries!! We planted two dwarf Montmorency trees two years ago and started getting cherries this year. 1 cup. Next year it will 4 cups. I am so excited to have them. This year I made my husband a tart. Next year….I’m eating raw treats and making awesome drinks. Thanks for all the tips. You don’t mention how important it is to purchase ORGANIC CHERRIES……..Non-organic cherries are SPRAYED WITH PESTICIDES………..What’s your thought on that? Cherries are in the dirty dozen list according to “2013 shopper’s guide to pesticides in produce”. You need to provide email address and zip code to get it. I must say my painful back is much better now than it used to be. Many thanks Vivian. Best wishes. D .J. Ross. Unfortunately, cherries in our neck of the woods are quite expensive. I’ve seen Montmorency cherry juice touted as an aspirin substitute for controlling arthritis pain. That appeals to me for use in a tea, however I find chamomile tea totally unacceptable. How about green tea? Guess I’ll have to try that. Jean, you could substitute any other herbal tea you like; all herbal teas are alkalizing, even though they do not all have the specific bone-healthy attributes of chamomile. 🙂 You could try mint or lemon balm tea instead, or whatever you like! You could also use just plain water; the other ingredients are very flavorful. Good luck! Sounds like a wonderful substitute for candy! Thanks for the tip, Ruth. Hi Vivian. Great to learn that cherries also contain silicon! Diatomaceous earth is almost entirely silicon. I’ve been taking 1 teaspoon of DE with juice every morning for a few months now. Do you have any recommendations/info on using DE for your bone health? I love your emails! I always learn fascinating information from you! This article was very helpful! Can I substitute fresh Keylime juice from my tree for the less-than-thrilling lemon juice in the drink recipe? Nothing beats a Keylime for flavor and bouquet! Hi Vivian.Here in cyprus we have a lot of cherries and i do i agree for how good are for our bones.Thangs anyway for your advises and help. Do the purple sweet cherries have any of these benefits?